Our 2nd tournament of the South Carolina series followed up the AFT Championship where the last day was canceled due to weather conditions. We'd like to thank the 13 teams that braved the windy conditions to compete on Saturday. We shared the landing with the Jacob Jordan Memorial Tournament. Jacob Jordan was a high school angler that graduated in 2018 and was holding down two jobs. He was killed in an automobile accident earlier in the month. This young man was well-known and liked in the local fishing community. The Jacob Jordan Memorial Tournament will be an annual event on Lake Hartwell. It was decided that the blast off and weigh-ins would co-inside so that our couples could participate in the benefit and fundraisers as well as the couples tournament. A few teams competed in both and several more participated in the fundraisers after weigh in. We'd like to pass on the appreciation of the Jacob Jordan benefit organizers. Timmy Jones and his son, Jacob’s high school fishing partner, came over as we were leaving to thank everyone for their participation and donations. We had 13 teams compete in the second series tournament and paid out 3 places. Dale and Victoria Goff took another 1st place finish with 5-fish weighing 9.11-lbs. 2nd Place and Ladies Big Fish went to Bryan and Sharon Waddell with 5-fish for a total weight of 8.59-lbs and big fish of 2.96-lbs. 3rd Place and Men's Big Fish went to Craig Sahms with 5-fish weighing 8.20-lbs and big fish of 3.30-lbs. Referral Bonus Program - Complete a Referral Drawing card whenever a team you refer competes in their first Couples tournament. Participation Bonus Program - Any team that competes in 6 or more trail tournaments will be entered in a Special Prize package drawing. Our sponsors graciously provide items for our couples that do not earn a paycheck at the division tournaments. 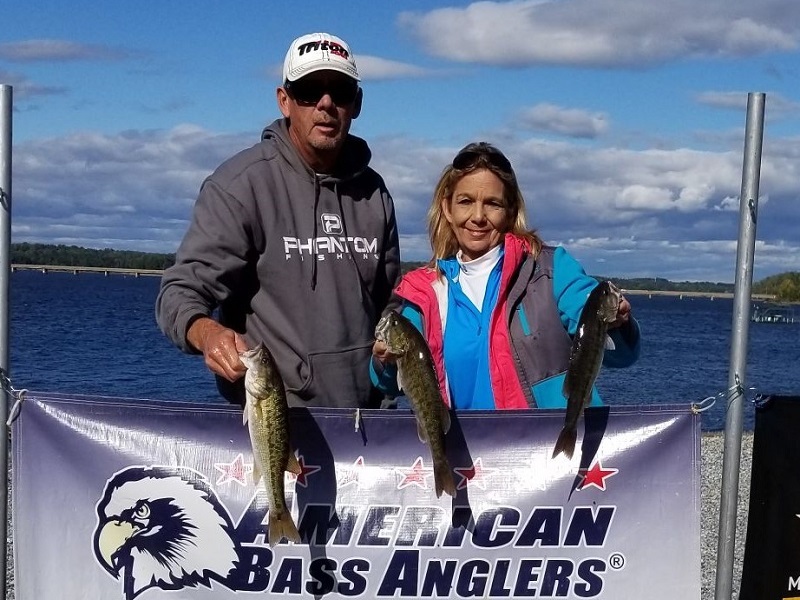 American Bass Anglers commitment is to provide low cost, close to home tournaments for the weekend angler and at the same time offer each competitor an upward path for individual angler progression. For more information about the American Bass Anglers and the American Fishing Tour, the Open Series, the 100% Plus Team Tour, or the American Couples Series visit www.AmericanBassAnglers.com . American Bass Anglers, Inc. is supported by Triton Boats, Mercury Outboards, Hydrowave, T-H Marine,ABU Garcia, Berkley, Garmin, Maui Jim, Power Pole, Sirius XM, Optima Batteries and GEICO. Athens, AL. 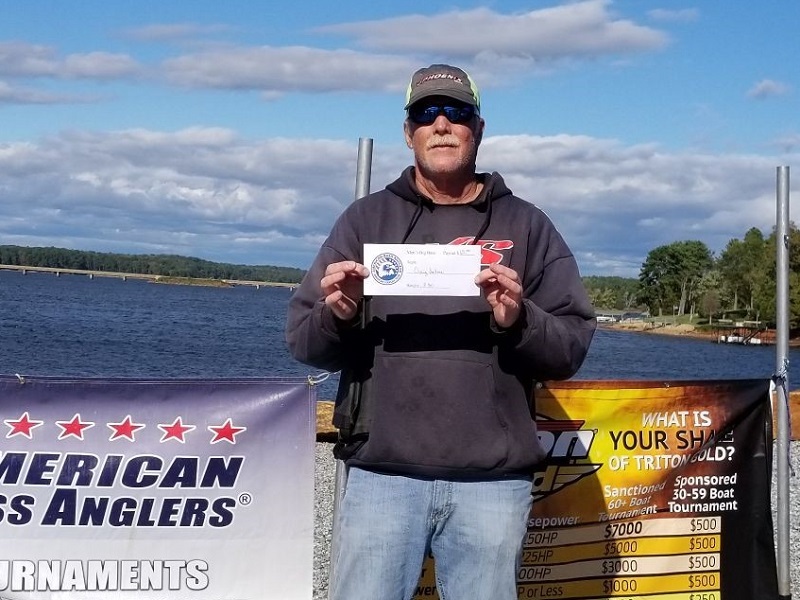 - Billy Wright Jr. of Fall River, MA won the Bass Pro Shops Fishing Tour Division 5 New England East tournament presented by American Bass Anglers. Running out of the state ramp in Fall, River, MA Billy Jr. brought back a 5 fish limit that locked in the scales at 11.26 lbs. anchored by a 2.8 lbs. kicker. For the victory, Billy took home a check for $543.00. 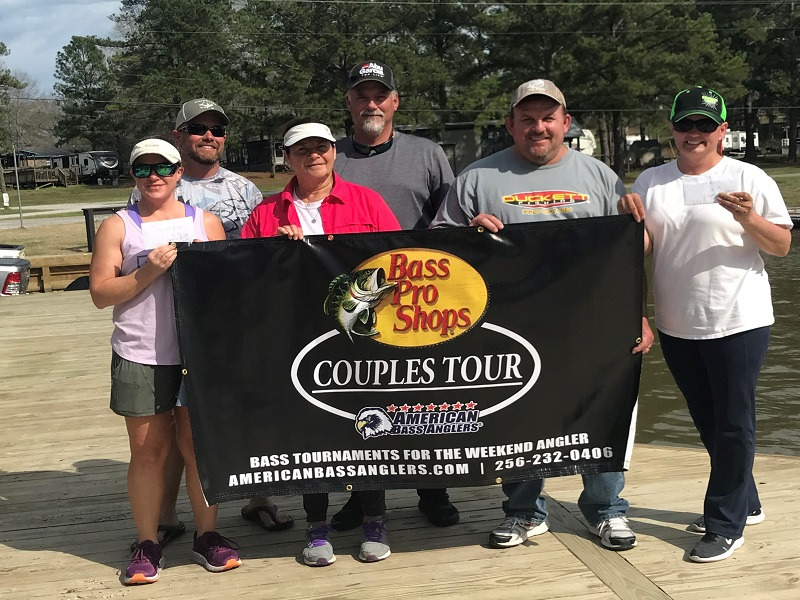 ATHENS, Ala. – Donathan and Sherry Jacks won the Bass Pro Shops Couples Series, operated by American Bass Anglers, Central Alabama Division 1 tournament, held March 16, 2019, on Logan Martin Lake. Running out of Lakeside Landing, the team caught 5 bass weighing 13.06 pounds. For the victory, they earned a check for $405.00. They caught their fish on swim baits. 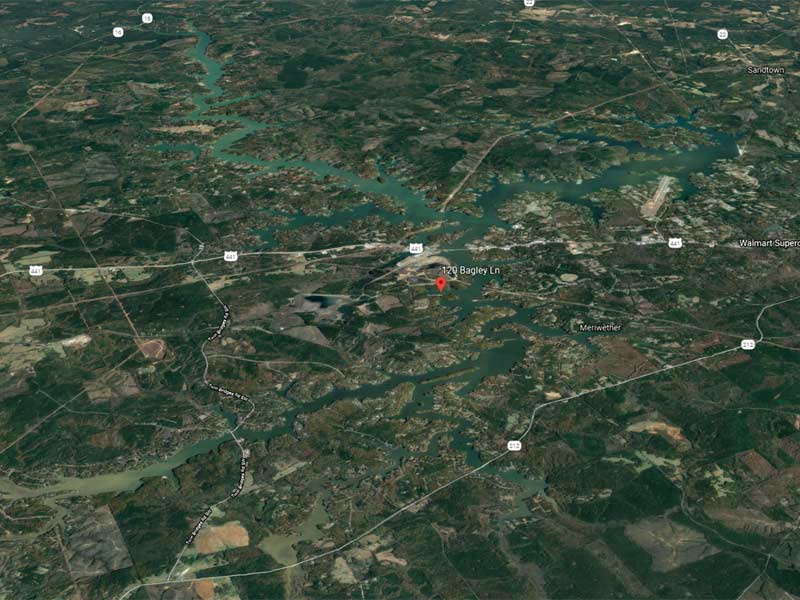 ATHENS, Ala. – The Georgia Division of the 2019 Bass Pro Shops Open Series presented by American Bass Anglers will host the second event on April 27, 2019, on Lake Sinclair in Eatonton, GA. In 2018 Justin Lanier won this event with 19 pounds concentrating on mid-lake with an active shad spawn. Mathew Bullock won the Co-Angler with 8.38 pounds. The event will launch at Dennis Station Boat Ramp, located at 120 Bagley Lane, Eatonton, GA, 31024. Anglers may begin fishing at 6:30a.m. or safe light. The weigh-in will begin at 3:00p.m. Registration begins at 4 p.m. local time at the ABA stage trailer located at Dennis Station Boat Ramp with the tournament briefing to begin at 7:00 p.m. Friday evening. 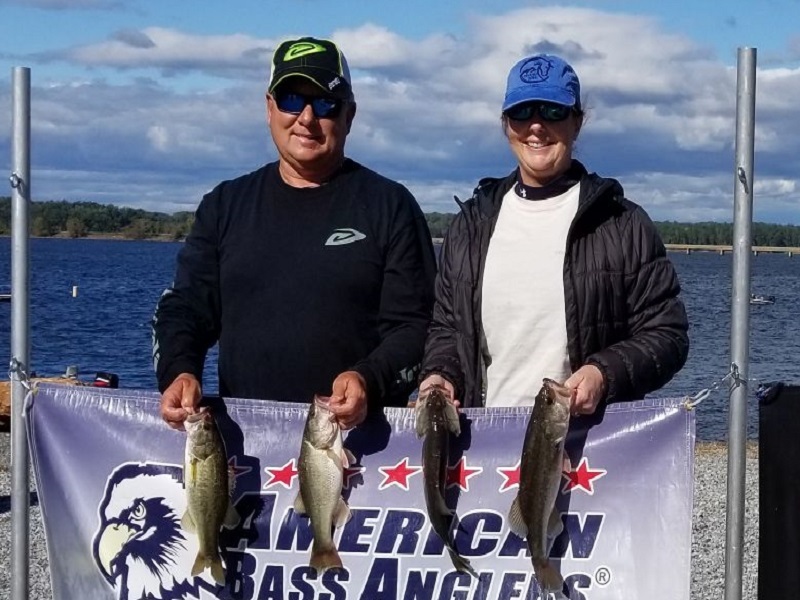 ATHENS, Ala. – The North Alabama Division of the 2019 Bass Pro Shops Team Tour operated by American Bass Anglers will hold its second event of the season on April 14, 2019 on Lake Neely Henry in Gadsden, AL. The competitors will launch at Coosa Landing located at 200 Lake St, Gadsden, AL 35903. Registration begins at 4 p.m. local time at the stage trailer at Coosa Landing with the tournament briefing to begin at 6:30 p.m. Saturday evening. To register for this tournament, Click Here!